State Rep. Kionne McGhee of District 117 in Miami-Dade County. 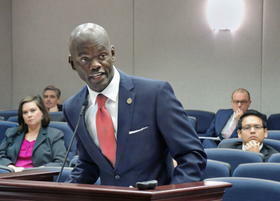 Democratic State Rep. Kionne McGhee, from District 117 in Miami-Dade County , discussed Senate Bill 7026, also known as the Marjory Stoneman Douglas High School Public Safety Act. 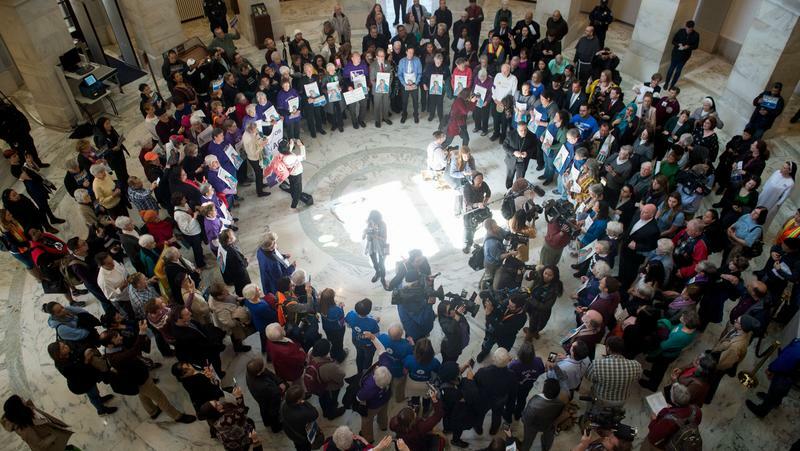 The Senate held a special meeting over the weekend to try to come to an agreement over the bill as the legislative session is scheduled to end Friday. The bill proposes funding for mental health services, and an age requirement to be implemented for the purchase of firearms. Bi-partisan agreement has been difficult to achieve due to provisions of the bill that allow for teachers who undergo special firearm training to be armed while on school grounds and it has been met with resistance because it does not ban the sale of assault weapons. McGhee spoke with us on what measures he believes should be adopted in order to prevent further mass school shootings. President Donald Trump made March 5 the deadline to end the Deferred Action for Childhood Arrivals also known as DACA or the Dreamers Act. Congress has not extended the deadline, but a federal judge has said that the program, which provides renewable legal status to children who were brought to the United States illegally by their immigrant parents, would stay in place for now. DACA recipient and immigrant rights activist Jasiel Lopez joined the program to share his experiences and relay his hopes for the future of the Dreamers Act. Florida Immigrant Coalition founder and Executive Director Maria Rodriguez spoke with us on what measures her organization is taking to promote a path to citizenship for the undocumented immigrants in the state. Attorney Alexander Berengaut represents the University of California in a federal lawsuit against the Department of Homeland Security. The suit has not been resolved, but an injunction was issued that has kept DACA rights in place for people who already have them. He joined the program to discuss his role in the case and described his hopes for the resolution of the suit. Rep. Kionne McGhee speaks on SB 7026, also known as the "Marjory Stoneman Douglas High School Public Safety Act" and a conversation on the future of the Deferred Action for Childhood Arrivals act (DACA) with Florida Immigrant Coalition founder and Executive Director Maria Rodriguez, attorney Alexander Berengaut who helped achieve an injunction that has maintained the rights of current DACA recipients and DACA recipient and immigrant rights activist Jasiel Lopez. Monday was supposed to be the day that DACA ended. 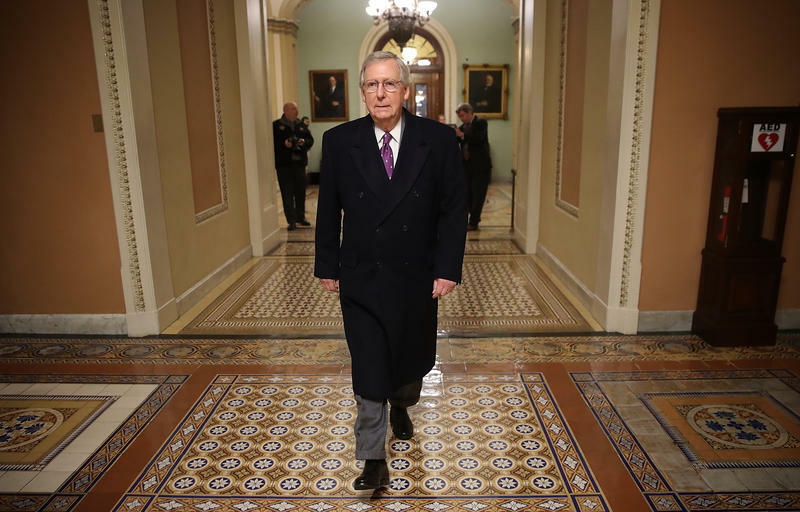 But court rulings have blocked President Trump from phasing out the program, at least for now, and negotiations have stalled out in Congress. The Deferred Action for Childhood Arrivals program protects undocumented immigrants brought to the country as children from deportation. 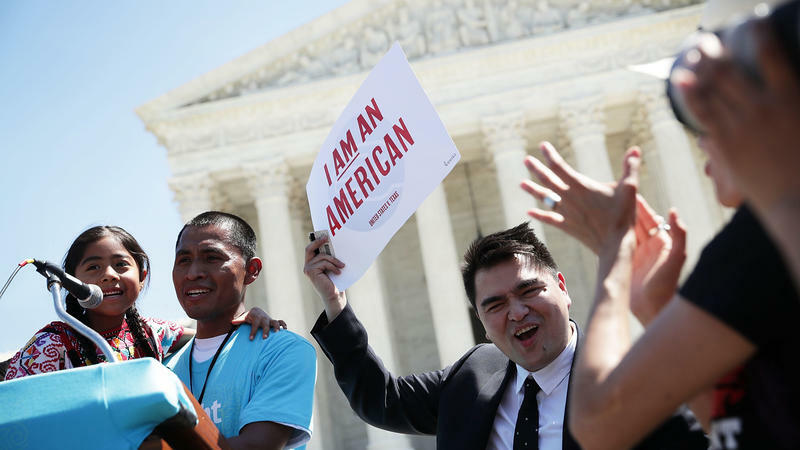 The U.S. Supreme Court on Monday handed the Trump administration a setback over the Deferred Action for Childhood Arrivals program, which shields hundreds of thousands of young immigrants from deportation. The court declined to take up a key case dealing with the Obama-era DACA — for now. The high court said an appeals court should hear the case first. The result is DACA will stay in place until or if the Supreme Court takes it up.